Organized in 1868, Bethel is the oldest African American congregation in Yazoo City. After affiliating with the African Methodist Episcopal Church, the congregation moved to this site in 1890. Designed by A.S. King, Bethel A.M.E. is one of the earliest brick churches built by African Americans in Mississippi, and is the only downtown Yazoo City church building left standing after the fire of 1904. Although the building has had alterations, Bethel retains its historic Romanesque Revival tower, whose steeple is clad in sheet metal panels stamped to resemble shingles. 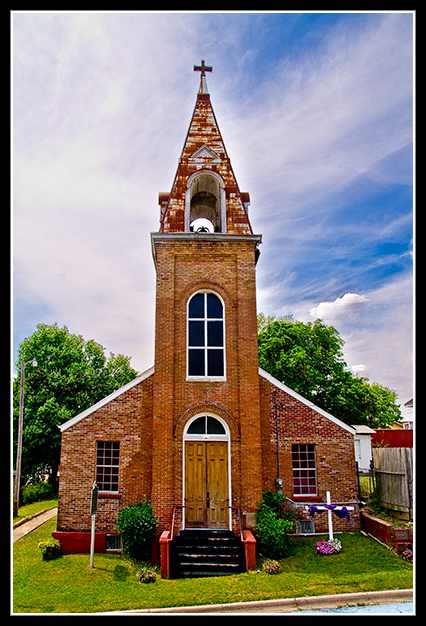 Download the Yazoo City Historic Churches Self-Guided Tour in PDF format here!